This week we've added one new agent profile and updated seven. Many agents seem to have closed to queries for the summer or reopened to them, so especially now, please-please-please make sure you double-check every agent's website or Publisher's Marketplace page before sending your query. If you're a QueryTracker premium member, then you can be notified whenever an agent or publisher profile is added or updated. If you're not a premium member, you can just check for yourself. There's still time to enter Elana Johnson's giveaways! Just leave a comment on her interview to be eligible to win either a copy of Possession or Abandon, or to win a query letter critique. 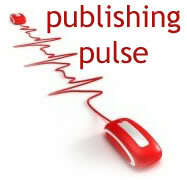 Winners will be posted in the next Publishing Pulse, so be sure to check back next week. Penguin and Random House have officially merged into Random House Penguin (not Random Penguin House, no matter how awesome that would have sounded.) Check out their new website and their logo, with that gianormous house-stomping penguin. Eep! Harry Potter is getting all new covers! Go look at the one for Prisoner of Azkaban. The new editions will be released August 27, 2013. Barnes & Noble's not doing so well with its Nook. What this tells us about the future of digital content. Hachette Book Group acquired the Hyperion Adult imprint. Sarah LaPolla tells you what you should expect (or not expect) from a writing conference. Megan Shepherd shares the five traits of published writers. Yet another take on the question, What is New Adult? Porter Anderson asks whether authors should stop linking to Amazon. "This is the way the world ends. Not with a bang, but with a whimper." - TS Elliot, "The Hollow Men"
Thanks for stopping by, and keep sending those queries! Jane Lebak is the author of The Wrong Enemy. She has four kids, three cats, two books in print, and one husband. She lives in the Swamp and spends her time either writing books or swatting mosquitos. At Seven Angels, Four Kids, One Family, she blogs about what happens when a distracted daydreamer and a gamer geek attempt to raise four kids. If you want to make her rich and famous, please contact the riveting Roseanne Wells of the Jennifer DeChiara Literary Agency. That tweet is so awesome!